My 7 year old informed me this morning that she absolutely cannot possibly wait for Easter. I’m not quite sure what she’s expecting….a day of eating chocolate? A hamper full of goodies? 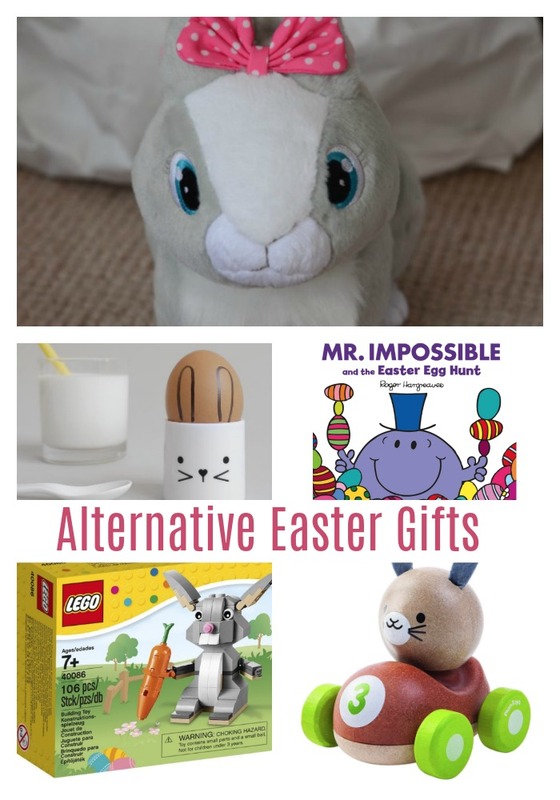 Easter definitely seems to be getting bigger and bigger each year and as we’re trying to be eat a little more healthily as a family, I thought I’d hunt you out some alternative Easter gifts. 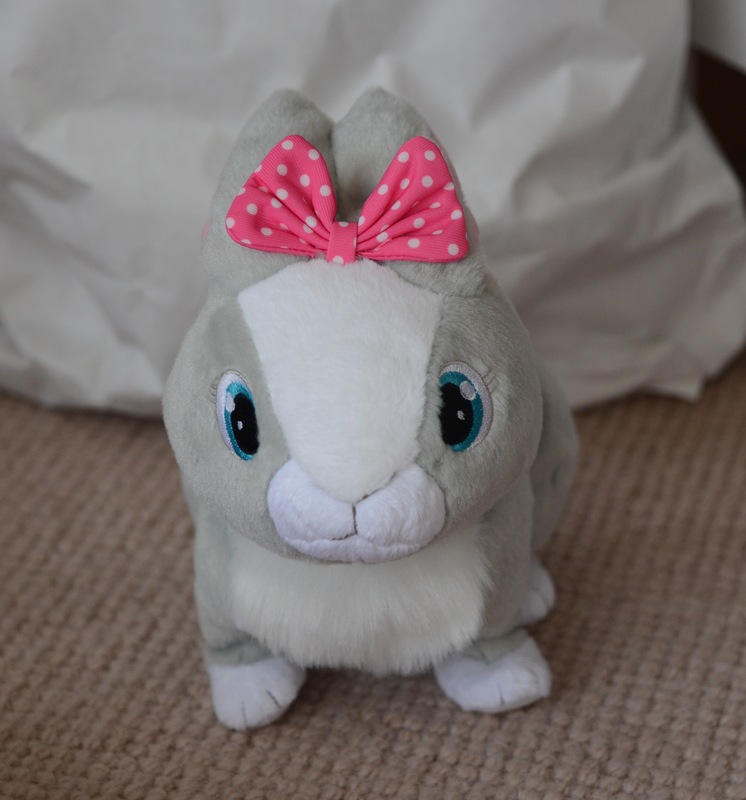 First up is the adorable Betsy The Bunny from Club Petz. Betsy comes preloaded with batteries meaning she is ready to play with as soon as you open the box. Betsy makes very cute bunny sounds and her ears move as she hops around! If you call her softly and she hops towards you, but she doesn’t like loud noises. My little girls have loved having Betsy around, they’ve cuddled her, stroked her and even made her a cardboard house! 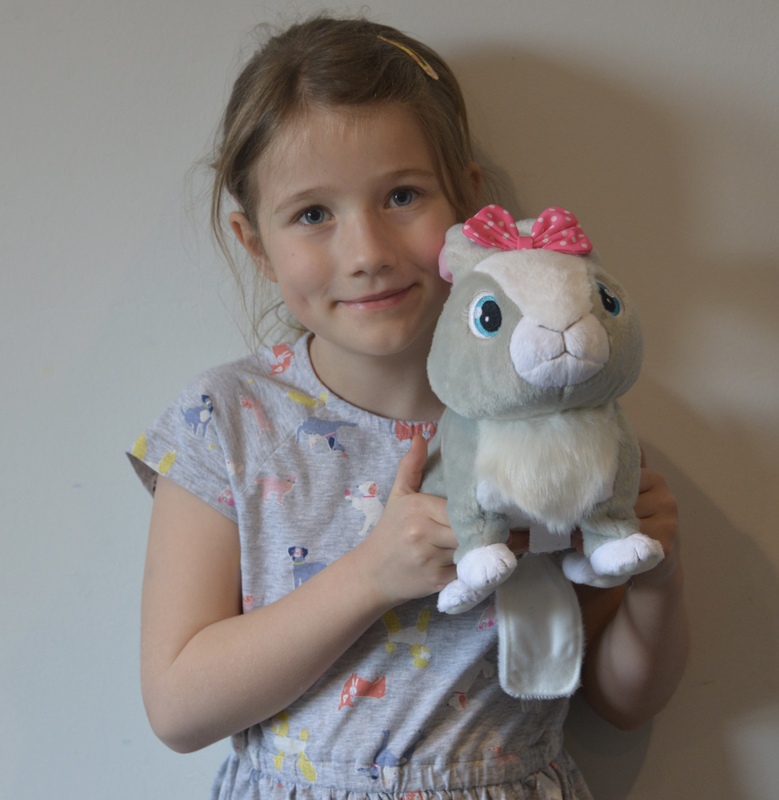 They are desperate for a real rabbit, so hopefully Betsy will help keep them happy for now, as I’m not sure we’re ready for an actual pet yet. I bought Charlie the Plan Toys Bunny Racer for Christmas and he loves it. 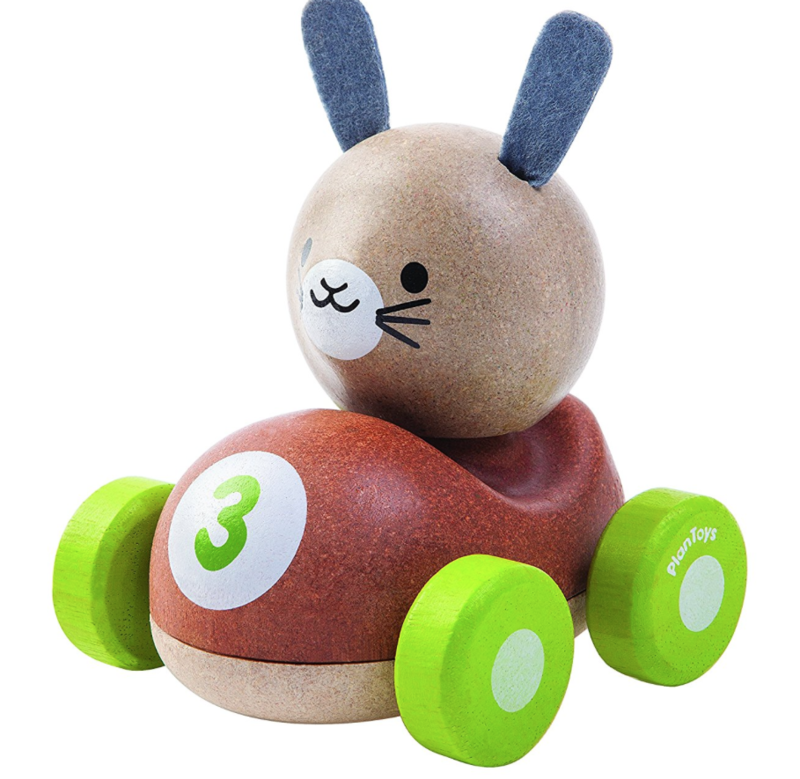 The car is very sold and sturdy, perfect for little hands to hold. 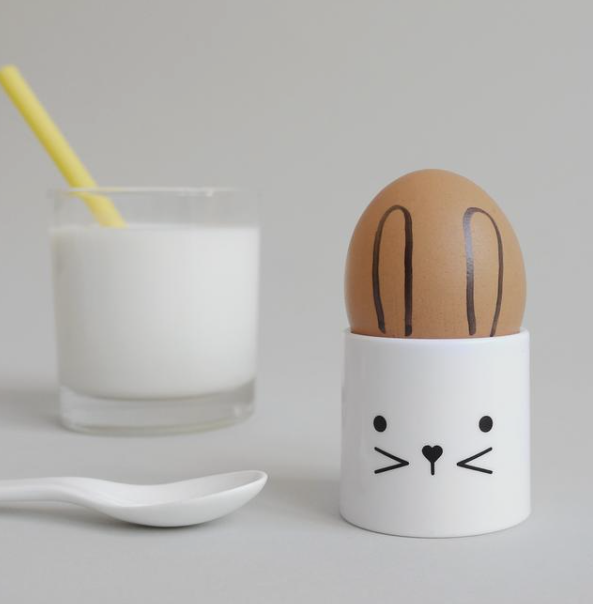 This gorgeous Buddy and Bear plastic egg cup would be gorgeous wrapped in cellophane with a chocolate egg inside for Easter. All my children have LOVED their comforters. 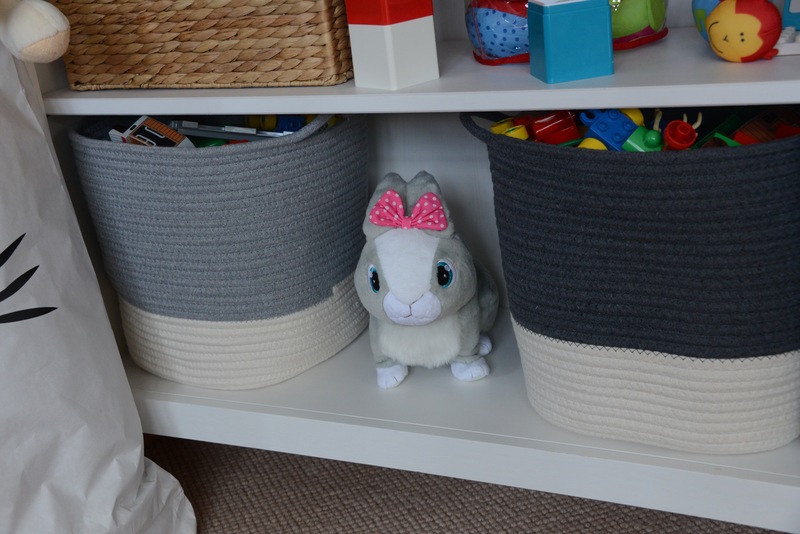 I’ve been eyeing up this super cute rabbit comforter from Frugi for months now. Playmobil have a super cute Easter calendar, we had this one year and it was a really fun way to countdown to the holidays. We still play with the little rabbits from it too. 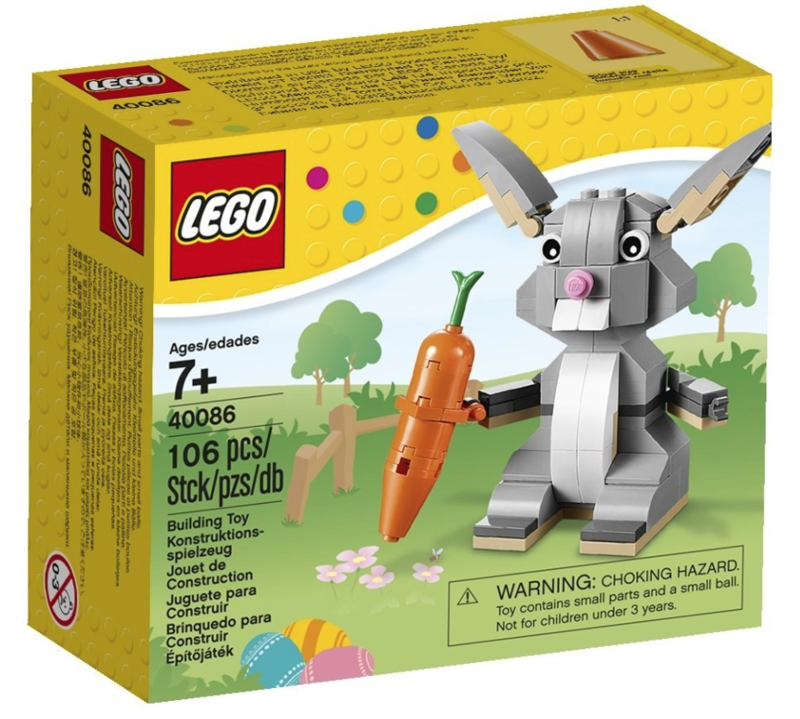 For older children, how about this LEGO Easter Bunny? 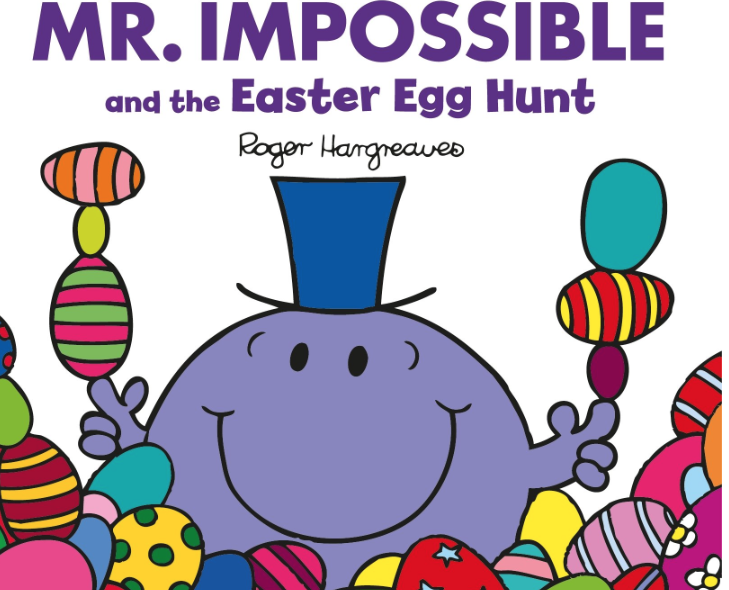 I love the idea of a book instead of an egg at Easter and this Mr Impossible book would be perfect. What do you do for Easter? Do your children have big expectations too? We were kindly sent Betsy the Bunny for review. I like to buy alternatives to chocolate at Easter – as my kids get enough treats through the year. LEGO is always a big hit in our house. Didn’t realise there was a LEGO Easter bunny. I love the bunny, so cute! I’ve not seen the easter bunny lego before but love that too! My kids would not be happy with me if I didn’t get them chocolate, but when they were little I bought non chocolate gifts as they had so much chocolate off everyone else. Yes, mine have SO many eggs this year, I don’t think I needed to buy any! There are some great alternatives there to make a change from chocolate or sweets – I really like the Lego bunny. Hey Emma! These are great alternatives to chocolate for kids. I’m sure the kids would love everything from Betsy to Easter Mr. Men. This is a good thing to consider this coming Easter. Thank you for sharing!